Trains in Sri Lanka are a very adventurous travelling option and also the best way to explore the natural beauty of the country. By opting for a rail tour in Sri Lanka you can plan your holiday by means of a very affordable mode of transport for exploring the country. Luxury and moderate class government owned and private rail services are available to popular holiday destinations in Sri Lanka. Sitting on the footboard of a Sri Lankan train – being the best way to get a 360 degree view of your surroundings. Getting to know other locals during your train journeys in Sri Lanka. After an eventful rail journey, unwind in the comfort and luxury of your hotel room. On the way to Kandy, you can visit the Pinnawela Elephant Orphanage in the morning hours and watch how the elephants bathe and eat their food. It is an interesting sight indeed, particularly for those who are fond of animals. 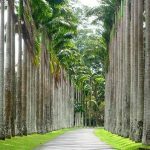 Next, you can visit the Royal Botanical Gardens, which is just a few kms from Kandy. Here you will find a wide range of flora including orchids, spices, medicinal plants, palms and much more. This is an enjoyable picnic spot for many locals and foreigners alike. A Kandy city tour is a must, including a visit to the Kandy Lake and other important sites in Kandy. In the evening, you can enjoy a cultural show with traditional Kandyan dancers to entertain you. We will then take you to Earl’s Regency for your overnight stay in Kandy. Next morning, before you depart to the central highlands, you will be taken to the Temple of the sacred Tooth Relic to obtain blessings from the Buddhist priests. You will then proceed to the Kandy railway station for your first train ride in this rail tour Sri Lanka. Your destination from Kandy by train will be to Nanu Oya. This is a ride during which you must do nothing but sit back, relax, and enjoy the most breathtaking scenery ever! From Nanu Oya, a car will drive you to Heritance Tea Factory hotel in Nuwara Eliya. On the way, you will pass Nuwara Eliya town, where you can enjoy an evening boat ride on Gregory Lake. In Nuwara Eliya, we have scheduled a tea factory visit where you can learn about the manufacturing process of tea and partake in an exciting tea plucking experience the traditional way. After a tour of Nuwara Eliya town, you will be driven to the Nanu Oya train station for your next train ride to Ella. This is another journey during which indulging in the beauty outside is a must. In Ella, you will stay at a luxury hotel known as the 98 Acres Resort and Spa. In Ella, it is advisable to begin your day at the crack of dawn if you want to hike to Little Adam’s Peak and get the best view at the Ella Gap. The Nine Arch Bridge is another attraction that you can visit in Ella before you return to your luxury hotel for another night. From Ella, you will be driven to the southern city of Yala and on your way you can spend some time at the beautiful Ravana Waterfall. 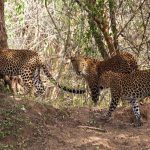 Upon reaching Yala, a jeep safari at the Yala National Park is a must. 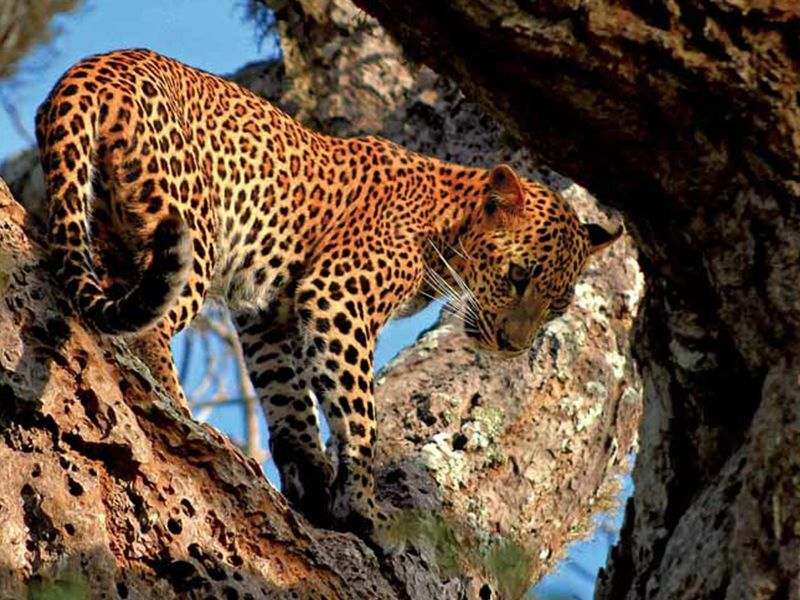 Jetwing Yala is the hotel we have selected for your accommodation in Yala. 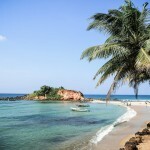 Moving further towards the southern coast, Mirissa is a popular beach destination in Sri Lanka. Here you can spend plenty of time enjoying the exotic beach. Sri Sharavi Beach Villas is where you will spend a night in Mirissa. 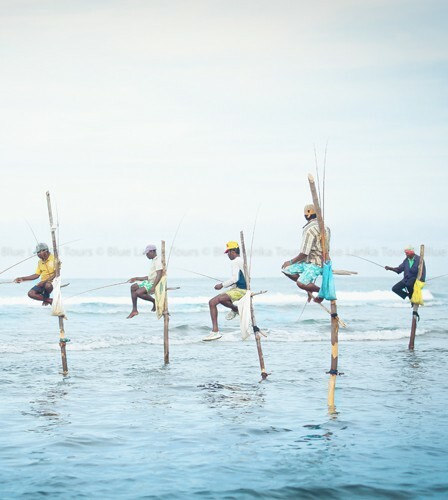 A visit to the Weligama fish market is optional in this Sri Lanka rail tour itinerary. Early next morning, enjoy an adventurous whale watching experience in Mirissa and then head towards the train station at Matara for your next train ride to Bentota. On this ride, you will see completely different scenery to what you saw in the hill country. 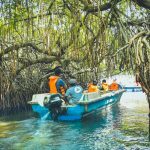 Once in Bentota, visit the Turtle Hatchery and relax on a boat ride in the Madu river. You will also be taken to see the commendable architecture of Sir Geoffrey Bawa in Lunuganga, Bentota. Your overnight stay in Bentota will be at Villa Bentota. At the Bentota train station, you can get into any train going towards Colombo and get off at the Colombo Fort. Walk around the fort area and the Pettah trading market and shop for anything that you like. Then explore the Gangarama Temple to learn about Buddhist culture in Sri Lanka. You can also visit the Manning Market in Colombo for some tropical fresh fruits and vegetables. 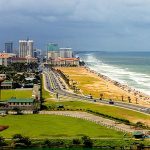 During your Colombo city tour, don’t forget to visit the Galle Face Green, Old Parliament Building (Dutch colonial architecture), independence square and BMICH (an admirable conference hall). Hotel Tintagel is where you will spend your last night in Sri Lanka, end your journey the next day and drive towards the airport at a suitable time, depending on the time of your flight. 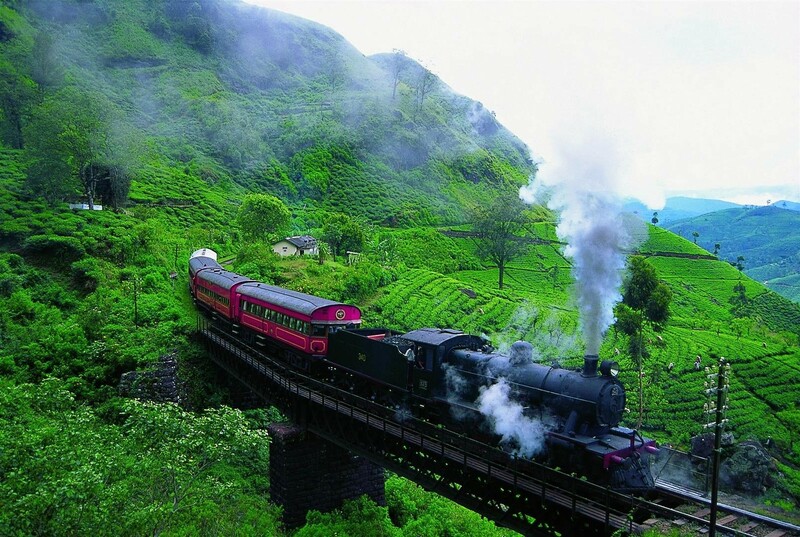 We also have a five day itinerary for a rail trip in Sri Lanka which focuses only on exploring the hill country. In this package, you will travel by train, beginning from Colombo Fort to Kandy railway station. In Kandy you can visit popular attractions such as the Temple of the Sacred Tooth Relic, the Royal Botanical Gardens, and enjoy an evening cultural show with Kandyan dancers to entertain you. You have two nights to spare at The Stone House in Kandy and you can use your time to engage in other activities that interest you such as trekking, nature trails and a tea factory visit. On Day 3 you will go to Hatton by train whilst enjoying the breathtaking scenery of the high altitude tea country. 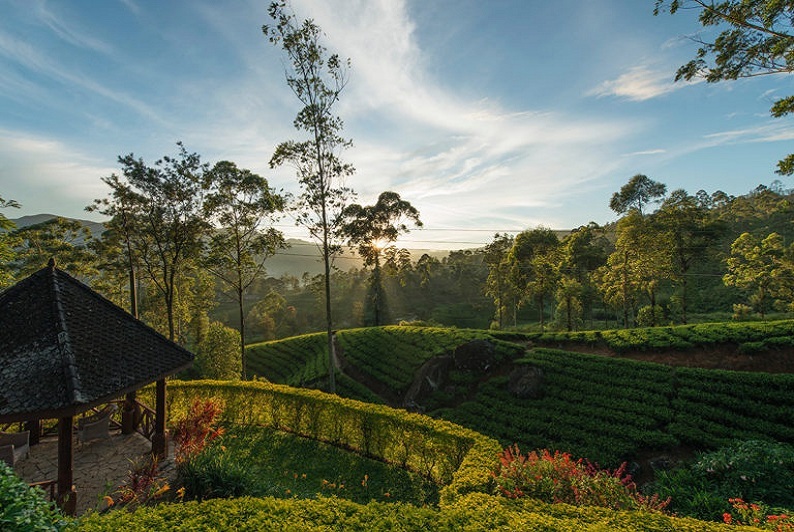 During your next two nights at the Ceylon Tea Trails in Hatton, you have the freedom to see the beautiful sights of the hill country. You could discover tea estates, climb the Adam’s Peak, visit Horton Plains National Park or simply relax and enjoy the view and weather in the cozy atmosphere of your hotel room. On Day 5, you will end your journey with a train ride from Hatton back to the capital city of Colombo. In addition to the above two rail tour Sri Lanka itineraries, we can also arrange a rail focused journey to the northern city of Jaffna. Express and luxury classes are available to travel to Jaffna by train. In Jaffna you can look around and observe the ruins of the 30 year civil war and also visit the many Tamil, Catholic and Buddhist places of worship. Jaffna is also a popular beach destination with calm and swim safe waters. Authentic north Sri Lankan food is a must-try when you are in Jaffna. This tour can be customized based on your dates and duration of travel. Advance confirmations are necessary if you want good seats on the trains to Jaffna as this sector is often fully occupied on most days throughout the year. Initially built in 1864 by the British, rail tours Sri Lanka were mostly used for transporting tea and coffee from the hill country to Colombo for export purposes. Today, this network has expanded, connecting several major cities in Sri Lanka. Detailed information on trains, timetables and ticket prices are available on the website of the Sri Lanka Government Railways. 1st Class Sleeper: with sleeping berths, available on some overnight train journeys. 1st Class Observation: popular among tourists; available on day time trains on the Main Line. Ideal for viewing scenery as it is located at the rear of the train or sometimes behind the locomotive. 1st Class Air-condition: these seats are occasionally available on inter-city express trains. 2nd Class: available on all inter-city trains as either reserved or unreserved. 3rd Class: most common type of seats available on most trains and this carriage can get very crowded during peak hours. In addition to these government-run carriages, two privately run sectors are also operating on the tourist bound stretches. These are known as the Rajdhani Express and the Expo Rail. 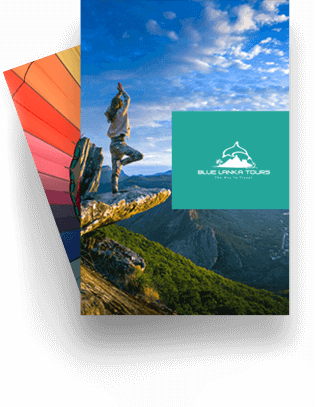 My tour (9 nights 10 days) was very interesting and every aspect was looked after by Blue Lanka from the moment I first contacted them. I found their communication always prompt. Natasha is excellent to deal with in arranging the itinerary – very good English – and my driver/chauffeur Sarath very special. He made a trip seeing interesting sights into an incredibly enjoyable experience. He is very kind, thoughtful and a great person to talk to. He is also very knowledgeable about many of the sites. He went above and beyond what I would have expected, for example, knowing I am a vegetarian and that I love dosas, he bought me a surprise packed lunch dosa, for my long train journey to Ella, from a favourite Hela Bojun in Kandy also with some tasty sweet meats! From the moment I met him at the airport, I felt that I would be safe in his company as a woman travelling alone. A complete gentleman. After my experience, it is completely possible to understand why Blue Lanka came up as No. 1. on TA when I was researching tour companies. They are the best! Request for a stay at the gorgeous Lunuganga Estate of Sir Geoffrey Bawa in Bentota.